Meet the girls of Big Time Rush!. May I introduce あなた Carlissa, Hortense, Kendalla and Jamie?. Wallpaper and background images in the ビッグ・タイム・ラッシュ club tagged: big time rush girls funny carlos pena logan henderson kendall schmidt james maslow. This ビッグ・タイム・ラッシュ fan art might contain 看板, ポスター, テキスト, 黒板, サイン, 肖像画, ヘッドショット, クローズアップ, ポートレート, ヘッド ショット, and クローズ アップ. 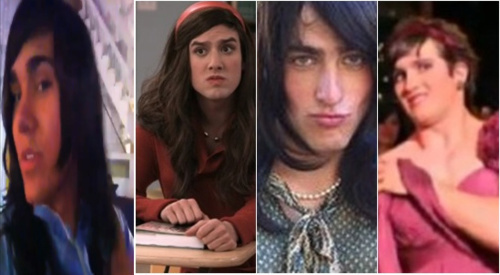 They all make pretty girls but Logan looks the cutest! CARLOS IS MOST BEAUTICUL GIRL! YEAH!